Boyz studio is a fashion house for children. The company not only has regular V-neck or round neck T-shirts but smart cargo shirts as well. The shirts give a cool look to the children’s appearance. The site has a great colour combination . The picture posted on the site makes the site more attractive and also provides a clear image of its contents. 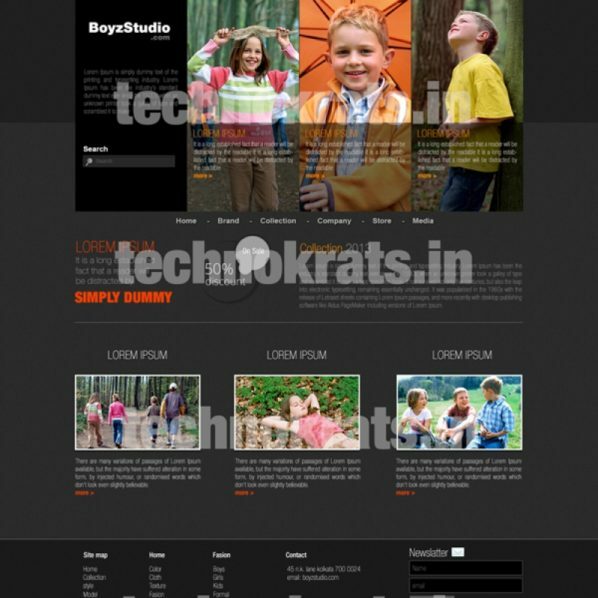 The website is made in Joomla.